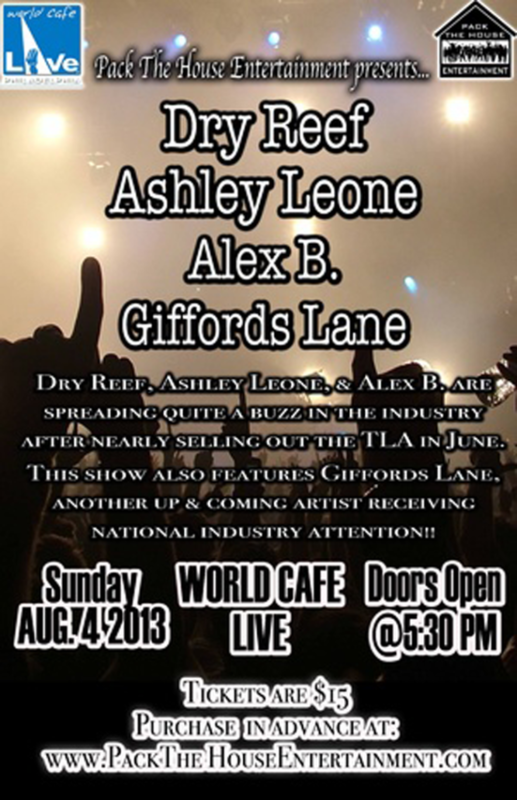 Alex B Live - Aug 4th @World Cafe Live in Philadelphia - Alex B. This 12-year old from Philadelphia has accomplished so much already as a professional musician. His YouTube page has over 684,000 views, and he has performed some of the largest venues in PA & NJ, under his solo name “Alex B” or with his band “Lil Rock”. He will be featured artist on a widely known national TV show later this year, as well as working with some of the world’s most widely known producers. The best part of Alex’s attitude is that his goals are still to get straight A’s in school, and do the rest for fun. Now that’s a kid who deserves it all! OMG I love your music and I would love to see you in concert!!! I wish you would. Come perform in Springfield il someday !!!!!!! That would be awesome!! !